It’s a big decision when you decide to sell your home. If you’ve lived there any length of time, you’ll have to cope with the emotional impact of moving. You’ll also need to make sure that your home looks its best when people come to view. Sellers can often get so focused on the interior of the home that they forget that good old fashioned kerb appeal. Step outside for a moment and look at your property from the point of view of a stranger. Does the grass need cutting? Is the guttering clear of debris? Are all the slates in place on the roof? Do the windows need a clean? Sprucing up the front of house will set the tone for anyone coming to view your property and it’s important to make sure it’s clean and inviting. Most homes collect clutter and, if you have a family, it can quickly get out of control. The trouble is all those possessions get in the way and stop viewers from really seeing the potential of your property. Decluttering can be time consuming but it’s also useful. It’s an opportunity for you to get rid of old things before you move home while making your property look more appealing at the same time. While a lived-in home is great, you will want to make sure that everywhere is as spotless as possible for potential buyers. That includes giving the carpets a professional clean, wiping down fixtures and fittings and cleaning the interior of windows. It can also mean getting behind areas like the fridge and the cooker to clean those tiles (and at least you won’t have to do it when you pack to leave). Try to get the majority of your spring clean done before viewings start so that you only have to give the place a quick going over with the vacuum when people come to view. Most estate agents say that you should reduce the impact of your own personality when it comes to selling your home. You want viewers to see the potential, not necessarily admire your personal fixtures and fittings. That includes taking down photos of the family and putting away the kids’ toys. The more buyers can see themselves in your space the better. And it’s all down to depersonalisation. It’s not just your physical property that needs some care and attention when you’re looking to sell. You’ve also got to prepare yourself mentally. You’ll no doubt have an emotional attachment to the property, happy memories and friends and family in the neighbouring area. It’s one of the reasons why moving home is seen as one of the top five most stressful experiences we go through in life. 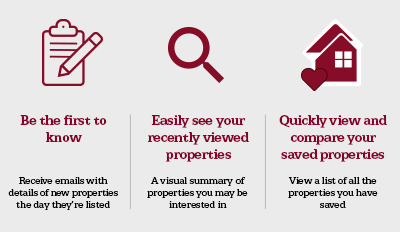 Try to stay objective when you have viewings and recognise your property won’t suit everyone. Make sure that you give yourself the time you need, whether that’s saying goodbye to neighbours or making plans for your new life in a new place. And try to be as positive as possible in looking forward rather than back. For more useful tips about preparing your home to be sold, speak to your local Northwood Estate Agent, they will have a wealth of knowledge and advice they will be happy to pass on to you!